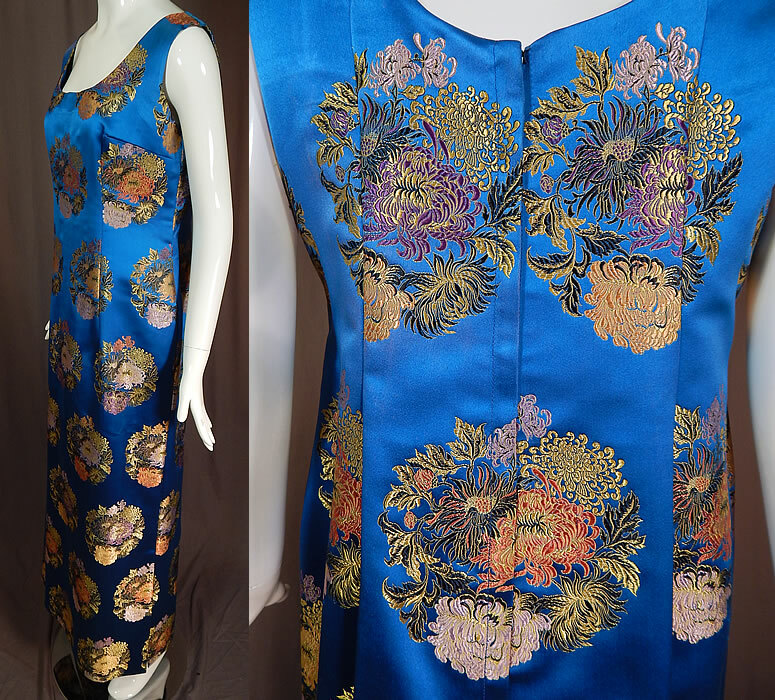 This vintage blue silk Chinese chrysanthemum brocade sheath dress evening gown dates from the late 1960s. 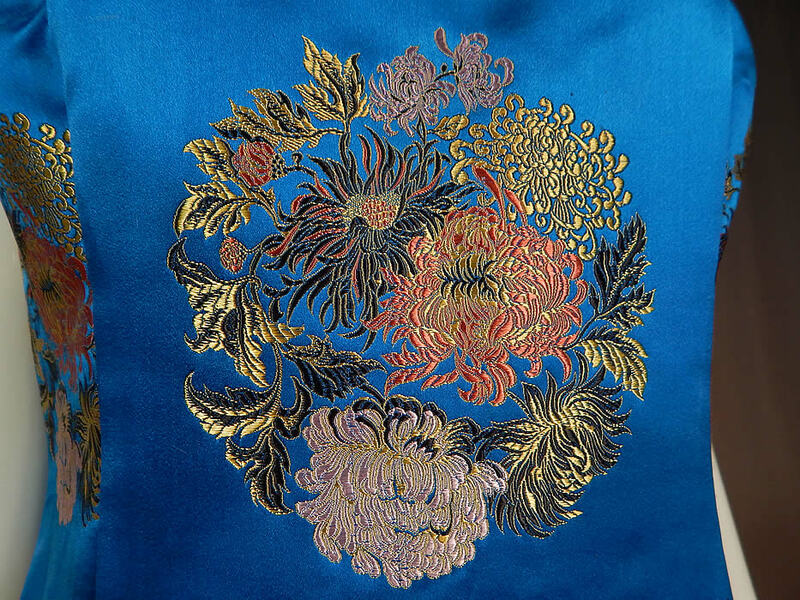 It is made of bright royal blue color luxurious silk satin brocade fabric with a colorful damask weave woven chrysanthemum flower roundels medallions. 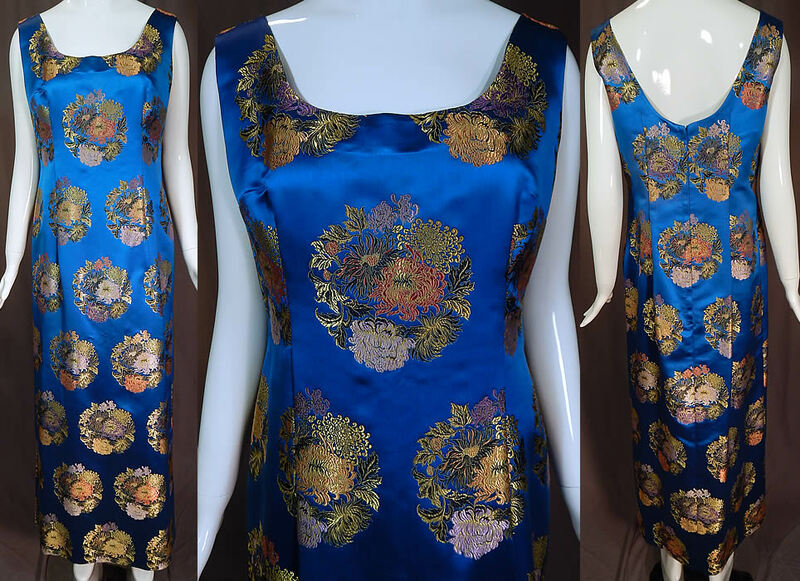 This beautiful blue Chinese inspired evening gown maxi dress has a fitted wiggle sheath style, is a long floor length with side slits on the skirt, sleeveless, low rounded scoop necklines, a back zipper closure and is unlined. The dress measures 55 inches long, with a 36 inch bust, 32 inch waist and 40 inch hips. It is in excellent condition and beautifully made with quality workmanship. This is truly a wonderful piece of custom made Hong Kong wearable art!